A Zero Day Attack doesn’t require a Zero Day Vulnerability to be successful. Many known vulnerabilities are subject to unknown exploits. However once a vulnerability is identified, the clock is ticking towards a patch for the vulnerability. In addition some technologies are able to filter attacks by their ability to exploit known vulnerabilities. Before attempting to understand how to protect against Zero Day Attacks, let’s take a look at how known exploits are mitigated. A typical Gateway Security Infrastructure consists of a Firewall, commonly augmented with additional technologies such as Intrusion Prevention Systems, Anti Virus, URL Filtering and Anti Spam. It’s often overlooked how major a role the Firewall plays in Securing the environment behind it. Even more overlooked is the importance of NAT, Network Address Translation. NAT is performed by the Firewall and “hides” the entire range of internal IP addresses behind a single “Public” IP address. Although not intended as a security measure, NAT inherently protects our networks by only passing traffic into the network if it’s a response to a request from this internal network. Any unsolicited traffic destined to the same network gets dropped as the Firewall has no record of an internal IP address to forward it to. The Firewall’s core security function however, is to compare traffic with established criteria and perform actions as per a set of instructions referred to as the “Firewall Rule Base”. Each new traffic flow destined for the network is compared against this set of criteria. If the traffic matches one of these criteria the appropriate action is performed. If no match is found the traffic is simply dropped or denied. URL Filtering protects users from all attacks by allowing access to known good sites only. Unknown sites are usually the first distribution point of malware, and many internet users access a handful of sites daily. 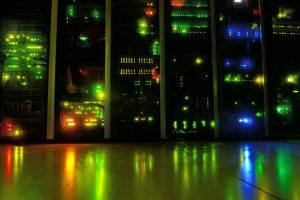 Since this method focuses on the source rather than the content, it effectively reduces exposure to exploits of any type, including Zero Day Attacks. What is the cost to restore the environment to a state before the breach? Is your organization a target or would an attack be the result of random selection? Does the environment contain confidential or proprietary data? Are there Political, Economical or Prestige-related reasons to attack your organization? 2020 InfoSec is dedicated to assisting our clients save money. One of the ways we do this is to recommend appropriate security measures rather than spending on unnecessary technologies or products that offer a low level of benefit. 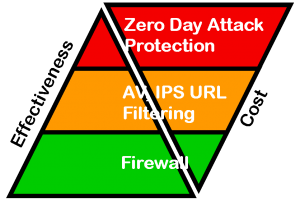 We can help you decide if Zero Day Protection would be a worthwhile investment for your organization. © 2019 2020 InfoSec All Rights Reserved. Reproduction in whole or in part without permission is prohibited. Trademarks are the property of their respective owners.